Our scholarships help unlock the strengths and talents of Australia’s future generations who illustrate promise, but lack the support and resources to maximise their full potential. In today’s world, youth mentoring is essential. We now provide a select number of mentoring scholarships to support young people in the range of 16-25 years of age to help them create an inspiring future direction so that they are happier and feel more successful in their life. Want to liberate your real uniqueness and align it with your future life and career transitions? 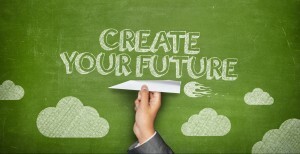 Want to identify your dream career pathway and how to get it? Want to get more control of your life and future, based on your strengths and passions? Want experienced guidance and a positive cheer squad to support you on your journey? Mentoring scholarships are awarded to young people of all walks of life who demonstrate a desire and are committed to achieving their life goals, despite adversity, but who may not have the opportunity or finances to access a much needed quality mentoring program. Depending on individuals needs, scholarships range in value and time of up to 12 months. Unfortunately 65% of today’s youth say their life and career decisions were made by default and chance. If we don’t decide what we want, then others will decide for us. If many of us spend more than 30% of our life working, wouldn’t it be worth investing some time with a mentor making sure we are on the right track and making the right choices, in control of our life, passionate, fulfilled and on purpose? Society expects us to go to school, get qualifications, and get a job to make money so we can buy the clothes, the car and house we leave empty all day (working) in order to afford to live in it. Too many people fall into a job that pays the bills, rather than get paid for what they love doing. Too many individuals feel ill-informed about their future career opportunities and many know what they don’t want, but fewer know what they truly do want. The fact is that most career counselling focuses on the work options available in the big wide world and very little on the individuals’ clarity, passions and strengths, and as such many kids leaving school are going off on the wrong trajectory in work and life. Please email us addressing the above Selection Criteria in detail, along with your personal contact information. Applications are reviewed on an on-going basic and must NOT be made on behalf of an applicant, but rather by the applicant themselves. If you have any further questions please contact us.